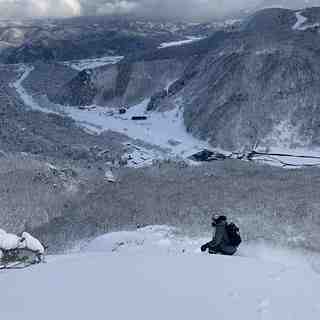 Happo One, in Japan (located in the Nagano prefecture,) is a large resort with 23 lifts (inc 20 chair lifts, 0 surface lifts) that offers skiers an incredible 1071 metres (3514 feet) of vertical descent. 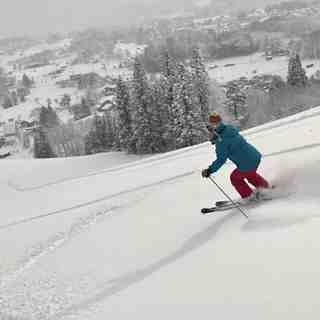 Happo One has 437 acres of terrain over 13 pistes. 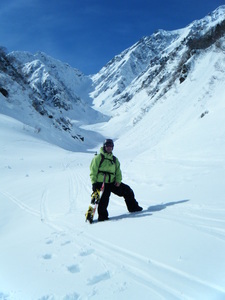 Happo One is best suited to intermediate skiers and snowboarders but there is some terrain for beginners and advanced skiers. 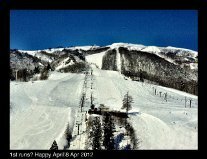 We have no information about the existence of any cross country ski trails at Happo One. For snowboarders, there is a terrain park and a half pipe. 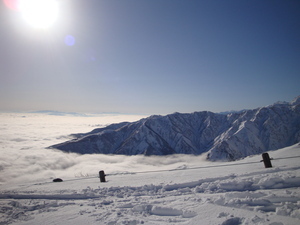 The nearest airport is at Matsumoto and the nearest train station to Happo One is at Hakuba. Should have light snow cover in the morning tomorrow, more at higher elevations. Hopefully the temp will stay low.